What a HUGE day it was for Irish genealogists around the world yesterday, as findmypast Ireland (findmypast.ie) was launched. Did you know that nearly 25% of all Irish emigrants settled in Australia, and without a doubt many have played key roles in shaping Australia’s history. Between 1841 and March 1851, 300,000 came to Australia, many as settlers or convicts. Australia’s 2006 Census found that almost two million residents identified themselves as having Irish ancestry. Now, not every one of those two million people are researching their family history, but many are! … but Australia wasn’t the only country the Irish emigrated to either, and as a result the global demand for Irish records is huge. These records are a key resource for the descendants of the millions of people who fled Ireland over the centuries for many different reasons, the most famous being ‘The Great Famine’ – a period of mass starvation, disease and emigration between 1845 and 1852. It is also known, mostly outside of Ireland, as the ‘‘Irish Potato Famine’. 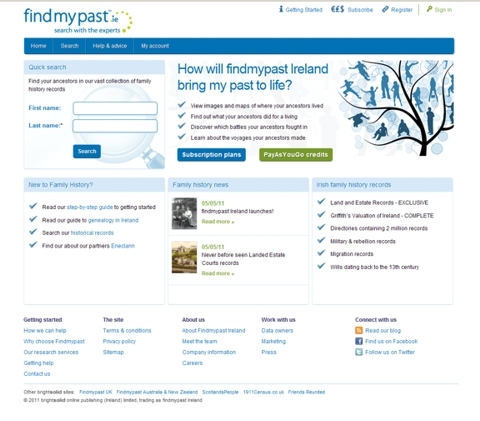 From yesterday, people can easily navigate and search over 4 million records that are available on www.findmypast.ie and discover their past no matter where they are in the world, however, this is expected to grow to over 50 million records within 12-18 months. 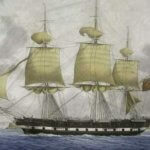 For the first time the public will be able to search high quality images of these records to find details of their ancestors’ lives and in some cases maps of the land their ancestors inhabited on the Emerald Isle. The timeframe of the records online at present from the 1400 through to the 1920s. Findmypast.ie offer 6 month and 12 month subscriptions, as well as a pay-as-you-go credit option, which is always useful as a way of checking it out first. So if you’re researching your Irish roots, bookmark findmypast.ie (if you haven’t already), and go have a look. As new records are expected regularly (that is, if it is anything like their English counterpart), I would highly recommend subscribing to their blog, like them on Facebook, or follow them on Twitter to keep up all the very latest news and releases. Could you tell me what is on this new site that isnt already out there on other sites? Eg, the 1901 & 1911 census’ are out there, the Griffiths evaluations also. 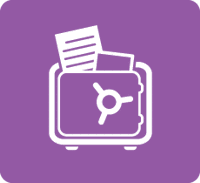 I am a big fan of FMP UK as it has different records to Ancestry……could you talk me into what’s different on the IE site that I cant get anywhere else? I do not have a credit card so this site is of no use to me !! !